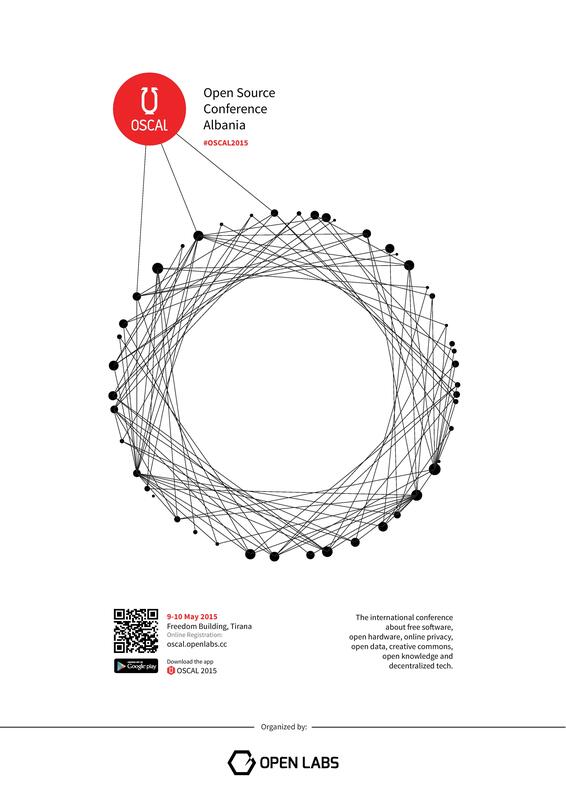 OSCAL (Open Source Conference Albania) is the first international conference in Albania organized by Open Labs to promote software freedom, open source software, free culture and open knowledge, concepts that originally started more than 25 years ago. The second edition (see first editon here) of the conference took place at 9 & 10 May 2015 in Tirana (Godina Liria) and brought together free libre open source technology users, developers, academics, governmental agencies and people who share the idea that software should be free and open for the local community and governments to develop and customize to its needs; that knowledge is a communal property and free and open to everyone. OSCAL mission is to educate Albanian youth, and not only, on Free and Open Source Software, its ideology and the great community behind it. So proud and exited that i was part of the organizing team of the second edition of the event, working with a great group of Albanian FLOSS enthusiasts, whose desire to do cool things brought us together. This edition was organized in the most decentralized way of working possible in the decision making process and the software used to document and plan activities and tasks. Here is the list with some of the inspirational speakers for this year, the agenda, a humble guide to Tirana for our friends from above, some banners in case you dig the whole thing and want to spread the #OSCAL2015 vibe and the mobile app, your companion during the event. There were also competitions, infobooth from Wikipedia, Mozilla, Fedora, Crate.io, Open Labs, Arduino ect. Side events (open discussion and lighting talks) related to Open Street Map, LibreOffice, Mozilla and Wikipedia and a massive after-party.And 5 competitions for participants: Wikipedia Editathon, LibreOffice Localization Competition, Firefox OS app, Open Street Map, Hashtag Fest #OSCAL2015. ⟵Wikimedia CEE Meeting in Kiev!